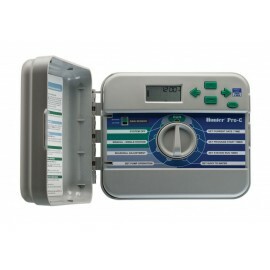 Hunter X-Core is a simple irrigation control unit designed for greenhouses with comprehensive facilities. 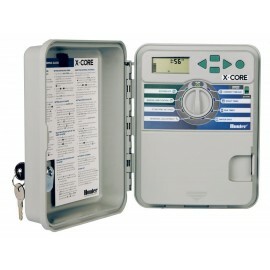 Hunter X-Core is a high quality and popular automatic irrigation system used by amateurs. 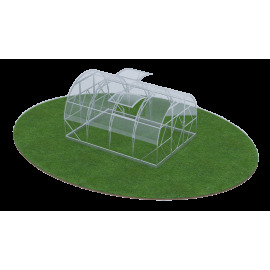 Due to simplicity of its setting X-Core is an excellent solution for private greenhouses. The controller allows you to manage the watering of your plants following an individual schedule for each zone (planting bed). 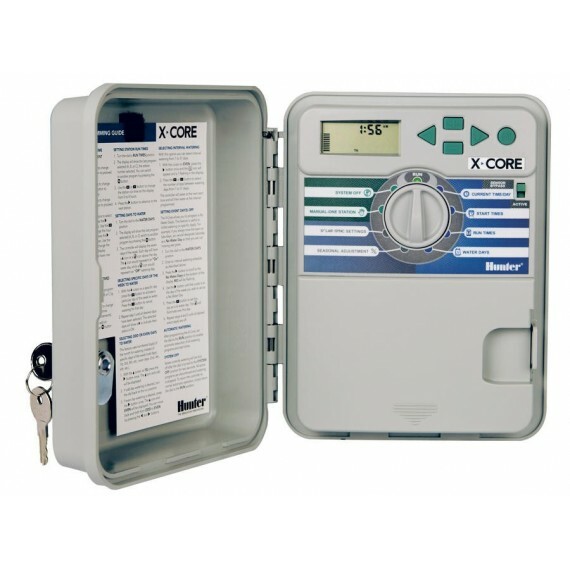 Hunter X-Core irrigation control system allows you to change at any time the number of irrigation areas to be under control (from 4 to 8) just by the way of installing additional expansion modules. The system has waterproof case. Easy Retrieve Memory: necessary program is kept in the memory and can be restored at any time. Possibility to set days without watering to be always displayed like “off”. 3V lithium battery (included into the set) for remote programming and keeping the current time, not used upon program backup. 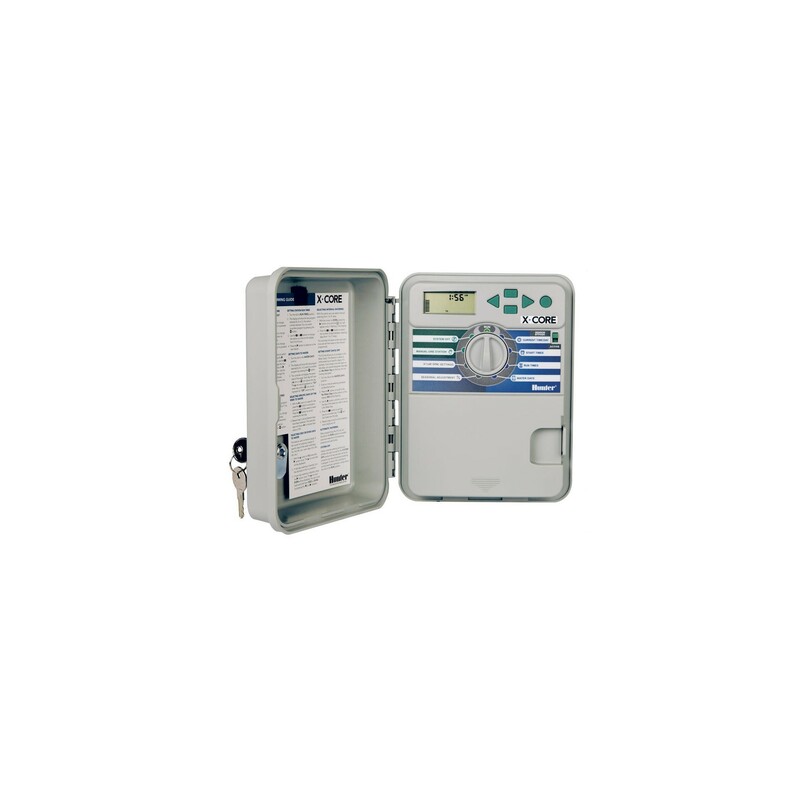 The system is to be connected to 220 V power line and water line having minimum pressure of 1 bar. In order to control each watering zone you should buy a valve that controls water flow. Available valves may be ordinary ones or those with pre-installed filter and reducer that controls the incoming water pressure. Automatic irrigation systems Hunter can be found in greenhouses, private premises, landscaped parks, and plant nurseries – wherever the irrigation quality is given special attention.